Bedwellty Agricultural Society along with local organisations have been successful in obtaining Welsh Government Funding to purchase much of the equipment we need to hold a Show. In recent years these costs have increased dramatically. We now have the opportunity to purchase (rather than hire) the equipment we need each year. The Grant is match funded. This means that we need to find £10,000 to buy the Marquees, Pedestrian Barriers, Tables , Chairs, Public Address Systems we so need so much. 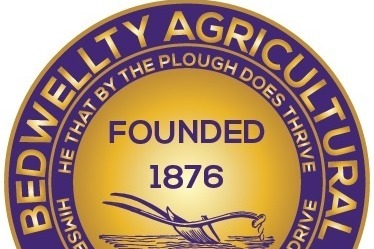 Bedwellty Agricultural Society was founded in 1873 and has survived Two World Wars, Economic downturns and huge changes to farming practices. We cannot let this important local event disappear. Therefore if you are able to donate at all - your kind generosity would be hugely appreciated. Any donation however small is important to us. The Society relies on volunteers to organise and hold the Show. To be able to purchase the equipment and not have to find the money every year would ensure the survival of the show for years to come.